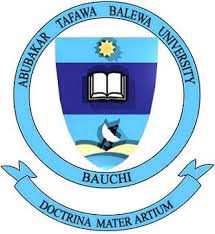 The Abubakar Tafawa Balewa University ( ATBU ) Bauchi has secured full accreditation from the National Universities Commission ( NUC ) for 21 of its programmes. ATBU Director of Public Relations, Mr Andee Iheme, made this known in a statement on Thursday in Bauchi. Iheme said that the accreditation was contained in a letter by the NUC’s Directorate of Accreditation in Abuja. He said all nine engineering programmes of the institution were fully accredited with only one given an interim status. “The courses with full accreditation are agriculture, bio-resources, automobile, chemical and civil engineering. “Others are computer and communication, electrical/electronics, mechanical and petrochemical engineering. “The only programme with an interim status is the mechatronics and system engineering,” Iheme said. According to him, all the programmes in the faculty of education had full accreditation with the exception of metal work technology which has been granted an interim accreditation. “So also the faculty of agriculture came out with full accreditation of all its programmes. “In the faculty of science, out of the four courses presented, only computer science and mathematics got full accreditation. “The faculty of environmental science also had full accreditation in quantity surveying, urban and regional planning. “Also the faculty of management got full accreditation in banking and finance,’’ Iheme said. He said the Vice Chancellor of the University, Prof. Saminu Ibrahim, has vowed to do everything possible to secure full accreditation for the remaining four courses of the institution as well as those with interim status. Iheme said Ibrahim had also assured the students and staff of the institution that all necessary arrangements had been made to address areas of inadequacies observed by the NUC. “Ibrahim said ATBU had carved a niche as a citadel of excellence and that he was not going to allow that standard drop under his watch,” he said. ATBU, Bauchi is one of the third generation Specialised University of Technology established in 1980 By the Federal Government.